Are you tired of doing metal polishing by hand or doing the tedious job of cutting metal with a hacksaw? Then you could really use an angle grinder to help you with these tasks and a whole lot more. Most people do not realize exactly how versatile a tool the best angle grinder models can be. They can do a lot more than just grind the edges of metals and other materials. Angle grinders can also be used as a cutting tool and can shape, sand, buff and polish too if you have the right accessories to go with them. The fact is they can be used for a variety of different tasks they you may currently be doing by hand or with less efficient power tools. In this article we will take a closer look at 5 of the top angle grinder models and we will also take a look at what characteristics of an angle grinder are important to focus on when you go to purchase one. Here is a brief synopsis of the best angle grinder products we will review a little later in this article. They are all superb model angle grinders that are very versatile. Here are some of the features of the best angle grinders that you need to take a closer look at when selecting a new one to purchase for yourself. There is a fairly wide price range between different models of angle grinders. You will find some pretty strong correlation between cost and the quality of angle grinders. Be aware though also that there are some very affordable models out there that have many of the same features of some higher cost angle grinders for a fraction of the price. Two very high quality and affordable models made our top 5 angle grinder review list. So bargains are out there to be had too if you take the time to shop around. The amperage of a motor on an angle grinder will tell you two important characteristics of its motor. To start with it will tell you how powerful that motor is. The higher power the motor the faster it can turn the wheel on it. Motor amps also will tell you how hard that model angle grinders motor works when it is being used. The higher the amount of amps an angle grinder has the less heat its motor produces when it’s working. This is important to know because a cooler running motor will generally last longer than one that always runs to the hot side. 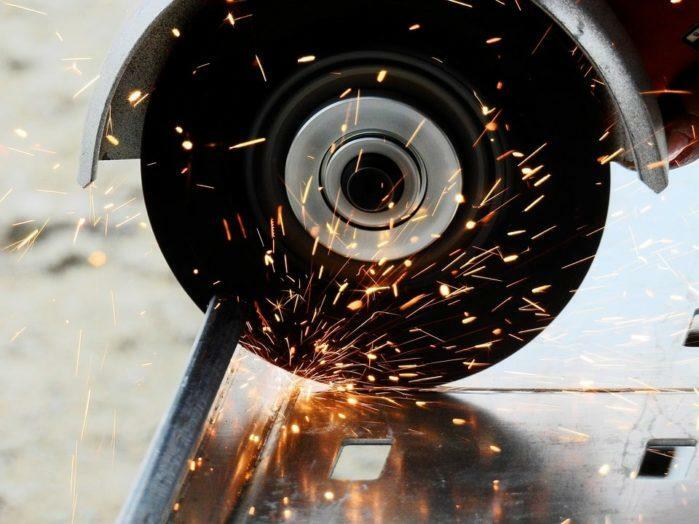 RPM’s are simply how many times an angle grinder’s wheel will spin around in a single minute. This is important when it comes to grinding and cutting metal and other materials. The higher the RPM’s the faster the cutting and grinding ability an angle grinder model has. So make sure you get an angle grinder with high RPM’s if the main jobs you will be doing with it are heavy duty grinding and cutting. Angle grinders come with specific wheel sizes that can be used on them but it must be noted there is no such thing as an industry standard wheel size. The most common angle grinder wheel size is 4 ½ inches and 4 of the 5 models we reviewed use that size. 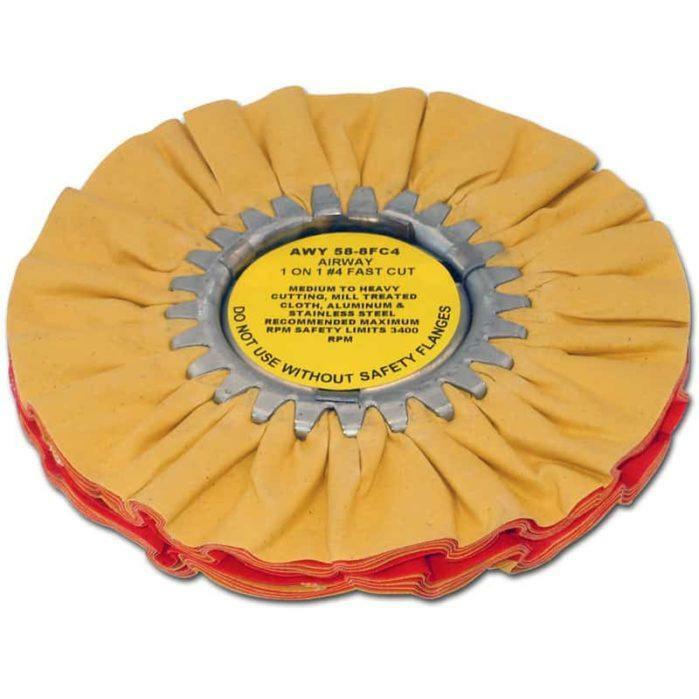 Angle grinder wheels usually range anywhere from 3 ½ inches to 9 inches. 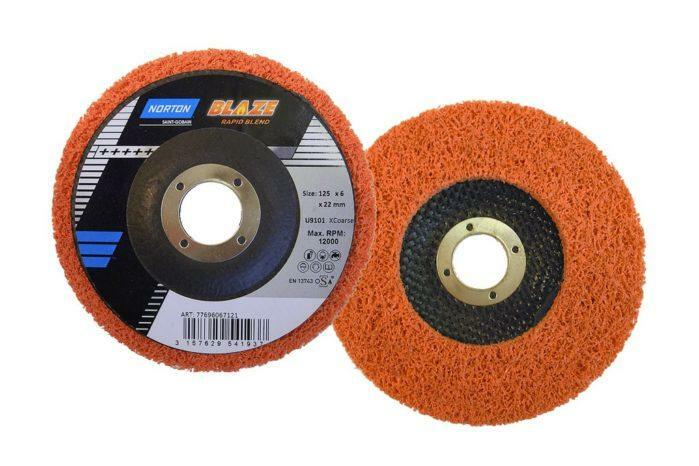 Bigger wheel sizes are usually used for heavy duty cutting and grinding tasks. Bigger wheels are not always better though. The reason smaller wheel sizes are used most often is because they can be made to turn at much higher RPM’s. Bigger wheeled grinders are used mostly in situations where thick cuts need to be made. 3. Wen 944 7-Amp Angle Grinder, 4-1/2"
Which Grinder Model Do We Like Best? In all there are many innovative types of wheels that are made to be used on most angle grinder models. It is one of the reasons they are such a versatile power tool to own. Here are a few things that make any angle grinder more comfortable to use. An angle grinder design that has places to hold onto it that are designed to naturally fit in your hands cuts down on fatigue as you are using one of these handy power tools. You have to take a look at the body/barrel size too because that is one of the handhold areas for you as you are using any angle grinder. The thinner a barrel width an angle grinder has the easier it will be to hold. Another big thing that makes an angle grinder easy to handle are things such as multi-positional handles. That enables a user to slightly customize this power tool to their preferences as far as holding it while working goes. One of the reasons people don’t like to use large wheel angle grinders is because they are heavy. Weight makes a huge difference in the amount of time you can use any angle grinder. It stands to reason that the lighter an angle grinder is the easier it is to use and the longer you can use it. So know the weight of any model angle grinder that you are thinking about purchasing. There are many features that can be built into an angle grinder to make it hold up well and give it a better chance at a longer life span. One of those is the construction material it’s built with. Lightweight polymer plastics are the best body material because they are heat and chemical resistant and virtually unbreakable under normal angle grinder operating condition. Also look for angle grinder models whose vents are constructed in a way that does not allow cutting and dust particles to get inside the motor compartment easily. This will really help extend the useful life of any model angle grinder that you buy. As with any product a good warranty on your angle grinder will give you some peace of mind. Although angle grinders are not typically extremely expensive they are by no means a disposable item either. So do yourself a favor and try to get a model that has as long and comprehensive a warranty as possible. Here is what we feel are 5 of the best angle grinder models you will find in the power tool marketplace. 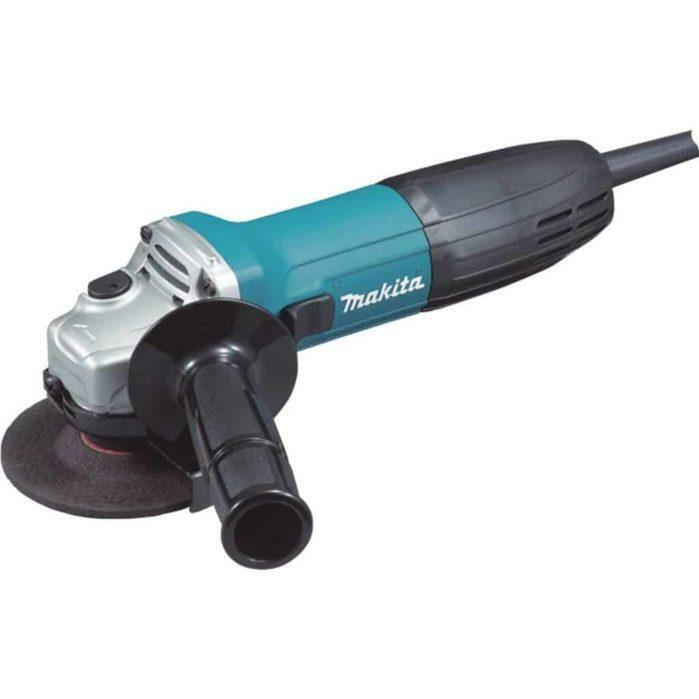 We start off our reviews of the top angle grinders with an excellent product from Makita. It offers everything you want in an angle grinder and more. This angle grinder model shows why Makita is such a strong name when it comes to power tools. This is one of the easiest to work angle grinders you will ever come across. It has an adjustable handle, an extremely ergonomic design and its barrel is only 2 ¼” inch thick so it’s easy to hold. This angle grinder can be used for a long time too thanks to its lightweight 3.1 pound construction. It is powered well too as its 6.0 amp motor can produce over 11,000 RPM’s. This grinder model also has a labyrinth sealed motor compartment that helps keep dust and debris out of it. There is also a 30-day, money-back satisfaction guarantee that comes with it and a one-year warranty. Here is another big name in power tools. DEWALT has an outstanding reputation as a company that makes ultra-high quality power tools. This angle grinder from them definitely keeps up with that tradition. This is one beefy angle grinder. Its tough 11 amp/11,000 RPM motor has great torque and won’t bog down even on bigger cutting and grinding jobs. It also features a dust ejection system that does a nice job of keeping debris from getting into the motor area. This angle grinder from DEWALT is also made using sturdy polymer plastic and durable metal alloys. It is an angle grinder that uses the most common size 4 ½ inch grinding wheel. It is also very easy to hold when using it thanks to its 2 position side handle. 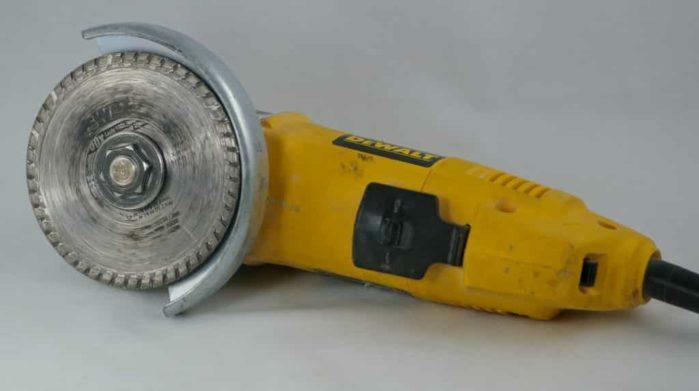 DEWALT backs this angle grinder up with a generous 3-year limited warranty. This is a very affordable model angle grinder that WEN makes. It’s an angle grinder that also has many outstanding features that are usually only found on much more expensive models. That is one of the reasons why that WEN is fast becoming the poster company for quality power tools sold at a budget friendly choice. For a budget friendly model this angle grinder has a lot to offer. It has a very generous 11,000 RPM speed and at 7 amps working power it runs very cool and efficient too. The handle grip on it can also be repositioned in a way that either right or left handed users can operate this angle grinder comfortably. One of the nice things about this angle grinder is a large part of its body has an easy to grip rubber coating on it. That makes it simple to hold no matter where you like to place your hands on it.WEN backs up this model angle grinder with a good 2-year warranty too. Bosch is another very popular and reputable power tool manufacturer and this is an excellent angle grinder product from them. It is a very versatile tool that is solidly built and backed up by them. If you need an angle grinder it is certainly worth considering because of all the great features it has. This is a powerful and easy to work angle grinder. It also has many unique features built into it such as its auto-stop switch that indicates to you that maintenance is required immediately to prevent damaging this tool. This power tool even includes a locking on/off switch which will help cut down on fatigue when you are using it for extended periods of time. Although it is protected by a one-year warranty you should not have to worry about that because of the way this power tool is built. It is built using solid materials such as metal alloys and crack resistant polymer plastics. The epoxy-coated windings it has even helps protect the motor when dust gets in it. Here is a very good angle grinding product from Porter-Cable. They have been a long time manufacturer of quality power tools. This angle grinder model from them is built to last and works very well for cutting, sanding, grinding and buffing. It handles any task you have for it easily thanks to its 11,000 RPM’s of working speed. This power tool is lightweight, ergonomically designed for ease of handling and even has a highly adjustable handle grip. This is a product that should last you for a long time too thanks to its tough construction and other features like its case metal gearing that resists damage from dust. A sturdy carrying case comes with it to help protect this power tool when you are not using it. Porter-Cable also backs this angle grinder model up with a very generous 3-year warranty. Without a doubt there are some excellent model angle grinders on our top review list. Any one of them would be a great addition to your tool collection. If we had to choose a model we liked best it would be the Makita GA4030K 4-Inch Angle Grinder. One of the best features of this model is its labyrinth sealed construction that keeps dirt and debris out of the motor compartment to help extend its life. To top it all off Makita offers a 30 day no questions asked money back guarantee and a one-year warranty on this model angle grinder. It is truly one of the best angle grinder products you will find in the power tool marketplace. You should really check it out further if you are in need of a new angle grinder to add to your tool collection. The Best Welder for Beginners: How to Choose the Perfect One?